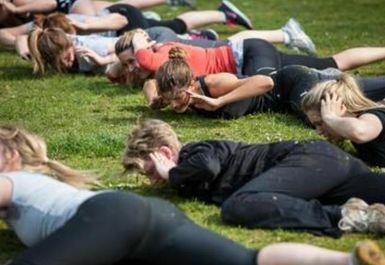 Highbury Fields Boot Camp, North London's Leading Outdoor Fitness Club. Each week you can guarantee a brilliant workout with the motivational team without breaking the bank. We are all about affordable, quality fitness sessions in London's Parks. Your Boot Camp Sessions in Highbury Fields will be running, skipping, jumping, and toning through every workout. Variety is the key with our training, you never do anything for longer than a few minutes, then we move on, keeping the session fresh & your body working efficiently. We now meet on the corner of Baalbec Road, just inside the gate.